“As we have seen over the last few weeks, there are some in Westminster who would wish to delay or even stop Brexit and who will use every device available to them to do so,” she will say, according to a transcript seen by the BBC. “I ask MPs to consider the consequences of their actions on the faith of the British people in our democracy,” she will continue. The Prime Minister if expected to offer the example of the 1997 on Welsh devolution — which established a local assembly and executive for Wales roughly analogous to a U.S. state government — which passed a razor-thin margin of 50.3 percent, on a low turnout of 50.2 percent. “That result was accepted by both sides and the popular legitimacy of that institution has never seriously been questioned,” Mrs May will say. The so-called “meaningful vote” on the Prime Minister’s deal with the EU on January 15th. 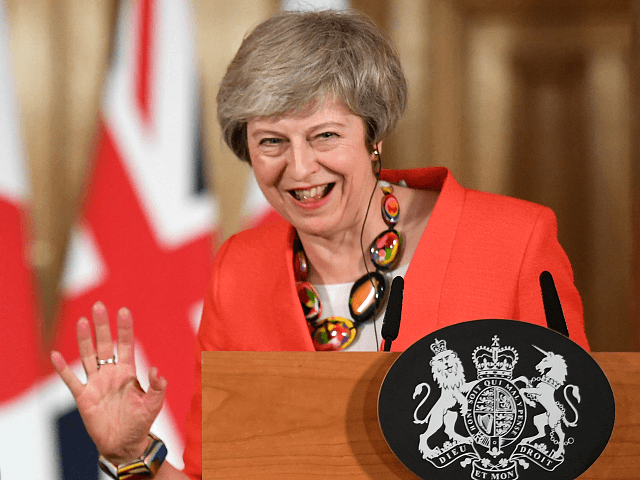 It would not, in fact, settle the question of Britain’s future relationship with the bloc, but only rubber stamp the massive “divorce bill” she has agreed to pay it, along with a roughly two-year-long “transition” period in which Britain would effectively remain an EU member without but without any representation in the EU’s institutions which negotiations continue — with a deeply contentious “backstop” arrangement to come into force if it expires before a final deal is agreed.